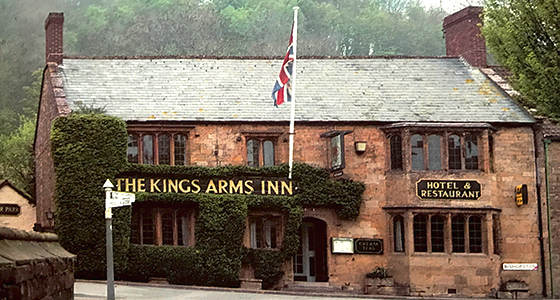 Rachel: I chose to stay at the 17th century Kings Arms as I had a business meeting locally the next morning. The inn is typical of many old village pubs and has a warm cosy, welcoming atmosphere, I would encourage sampling the food and ale, it was superb. It wasn't until I unpacked my bag that I found a recorder, so I took the opportunity to make a short recording before turning in for the night. EVP 1: Although the voice is plainly stating their task, it was the first time that this voice has been captured. Did they mean for this particular visit or for all recordings? We await an answer. EVP 2: It is always cheery to hear offers of help, especially when they assist in communication. EVP 3: Despite the EVP saying they were near Rachel, she was not able to feel a presence. EVP 4: This was recorded about a month before Rachel had a planned visit to Edinburgh. EVP 5: A simple word but evidence that Rachel was not alone in her room.